Dr. Martinez believes that truly great dentistry isn’t just built upon world-class clinical skills, but a deep and trusting relationship between dentist and patient. When that relationship is solid, a patient feels more comfortable, is more likely to express any issues, and will attend appointments more regularly. 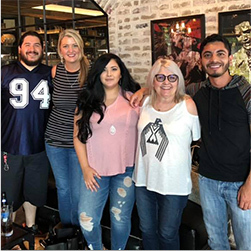 This approach also enables Dr. Martinez to specially tailor his care to each unique individual to ensure a fantastic outcome and smooth experience. Of course, all relationships must begin with an introduction, so below, you can start getting to know Dr. Martinez. Why did you want to become a dentist? Dr. Martinez was always drawn to the medical field and helping people, but he wanted to choose a career that would also allow him to enjoy his life outside of work. Dentistry seemed to be a perfect fit. He likes how he’s able to work a regular five-day week just like everyone else, plus he’s able to make a real difference in people’s lives by improving their health and confidence at the same time. Dr. Martinez attended the University of North Carolina at Chapel Hill where he received his bachelors of science in Biology. It was here where he started to develop an interest in dentistry. After many hours of observation in dental offices, he realized it was the career he wanted to pursue. 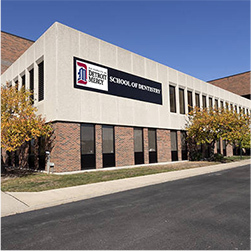 He eventually graduated from the University of Detroit Mercy School of Dentistry in 2010 and practiced in Michigan for almost two years. After spending most of his life in the north, it was time for a change, and a move to Texas would bring him to his new home. Practicing dentistry for 8 years has not changed Dr. Martinez’s dedication to continuing education. He knows that in order to provide the best care possible, one has to stay up to date on the newest technologies, techniques, and materials. He’s also able to expand his knowledge and network of other dentists as a proud member of the Hispanic Dental Association. 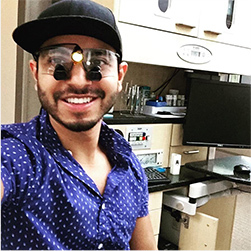 He has many interests in the dental field, and he is always excited to learn more year after year so he can provide an even higher level of care. 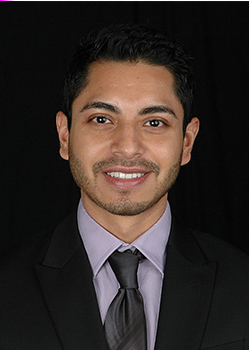 Dr. Martinez is fluent in English, Spanish, and he is currently studying Italian. His biggest interest outside of dentistry and learning new languages, however, involves staying healthy. He works out and practices yoga most days of the week, and he has recently started running and doing archery. He’s always happy to pick up new hobbies so he can learn different skills and meet a more diverse group of people. He also enjoys traveling and visiting family in Mexico and Chicago whenever he can.